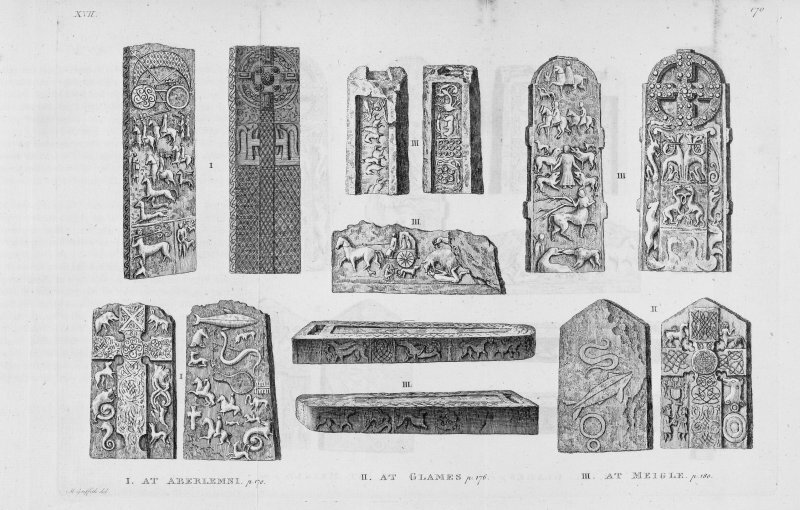 Engraving of Pictish cross slabs and symbol stones at Aberlemno, Glamis and Meigle. Plate from Thomas Pennant's 'A Tour of Scotland, 1772' (1776). Description Engraving of Pictish cross slabs and symbol stones at Aberlemno, Glamis and Meigle. Plate from Thomas Pennant's 'A Tour of Scotland, 1772' (1776).